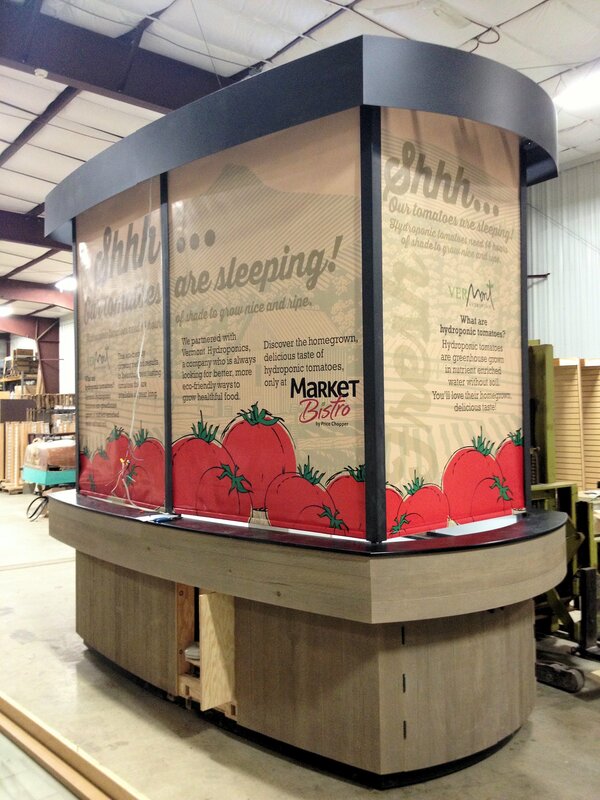 This attractive kiosk was created by using vinyl banners beneath non-glare plexiglass. We printed on a glossy vinyl, which normally would give you glare trouble, but in this case the non-glare plexi took care of that. There are two advantages of doing this with vinyl. First of all, it’s cost effective compared to direct printing on large sheets. Secondly, it’s a lot easier to ship! You can roll the vinyl banners up and ship them ground for a few dollars. The presentation is fabulous, the price is right, and they can be done in a few days. What’s not to like? This entry was posted in Vinyl Banners and tagged glossy vinyl, kiosk graphics, kiosk panels, retail graphics, retail signage, Vinyl Banners. Bookmark the permalink.